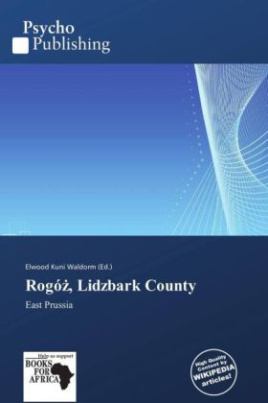 Rogó [ r u ] is a village in the administrative district of Gmina Lidzbark Warmi ski, within Lidzbark County, Warmian-Masurian Voivodeship, in northern Poland. It lies approximately 8 kilometres (5 mi) north-east of Lidzbark Warmi ski and 44 km (27 mi) north of the regional capital Olsztyn.Before 1772 the area was part of Kingdom of Poland, 1772-1945 Prussia and Germany (East Prussia). East Prussia (German: Ostpreußen, pronounced [ st p s n] ( listen); Polish: Prusy Wschodnie; Lithuanian: Ryt Pr sija or Rytpr siai; Russian: or Vostochnaya Prussiya) is the main part of the region of Prussia along the southeastern Baltic Coast from the 13th century to the end of World War II in May 1945.